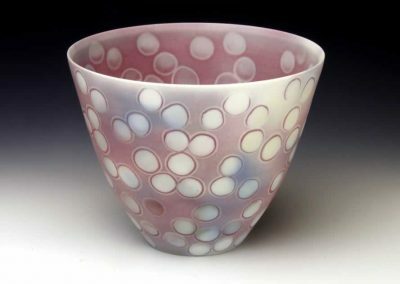 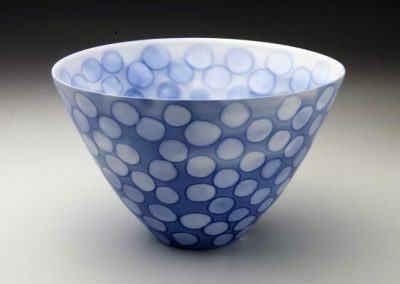 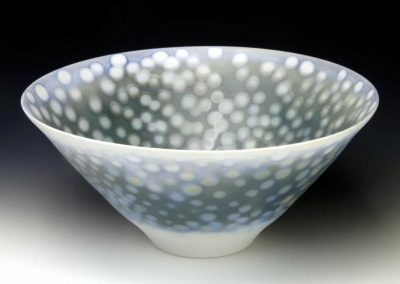 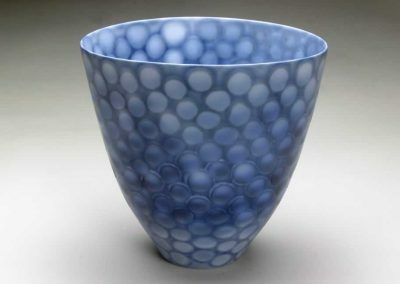 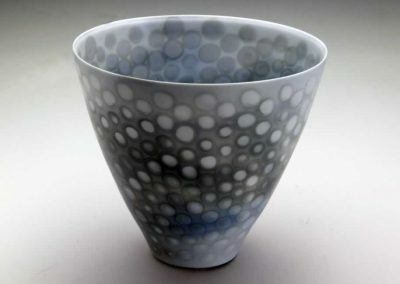 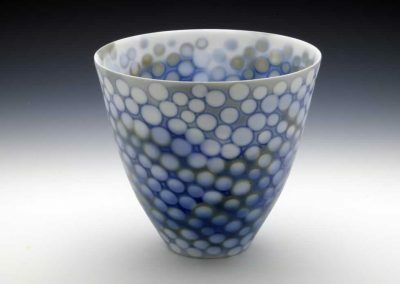 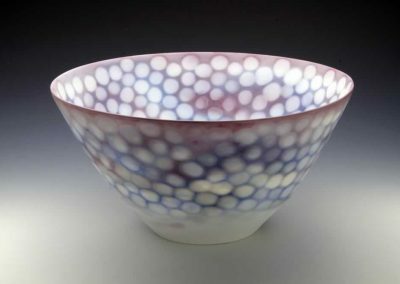 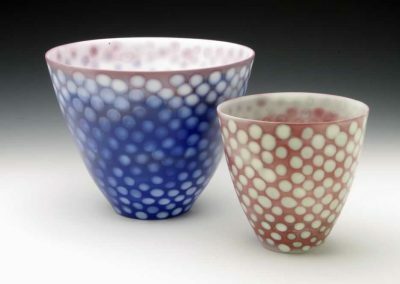 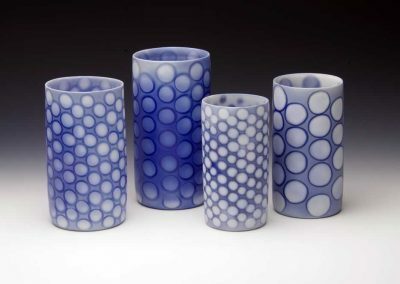 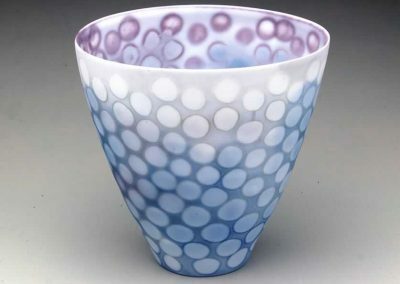 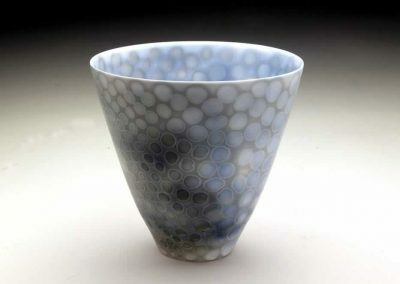 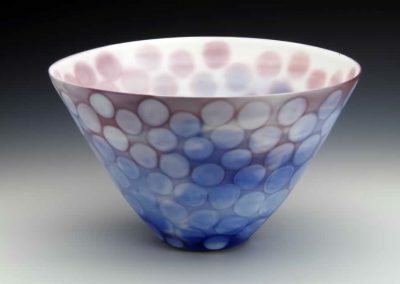 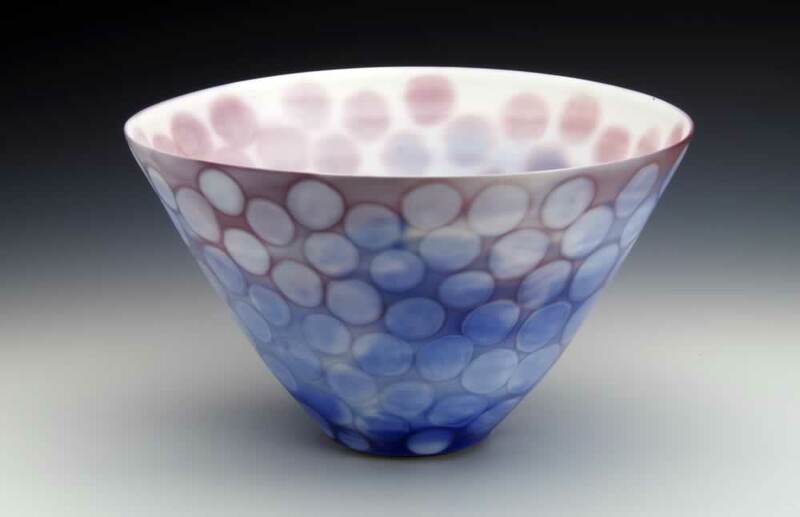 Watercolors on porcelain is a technique using water soluble colorants rather than pigments. 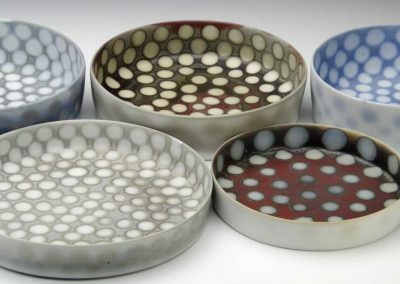 Due to their unpredictable behavior, they are not commonly used. 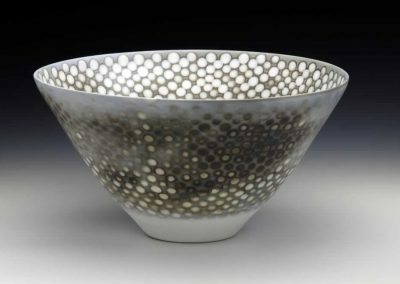 Dissolved metallic salts are applied to the porous surface creating unique patterns on the exterior and interior surfaces. 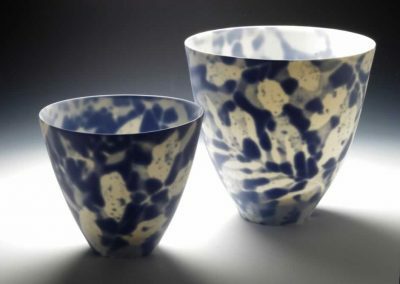 My concern is about the relationship between these surfaces, evidenced through the migration of colour and pattern with moisture. 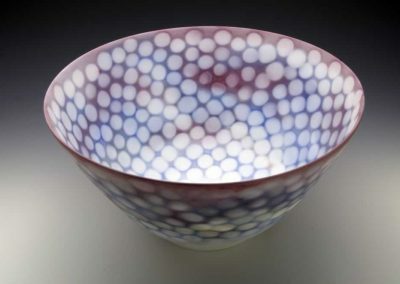 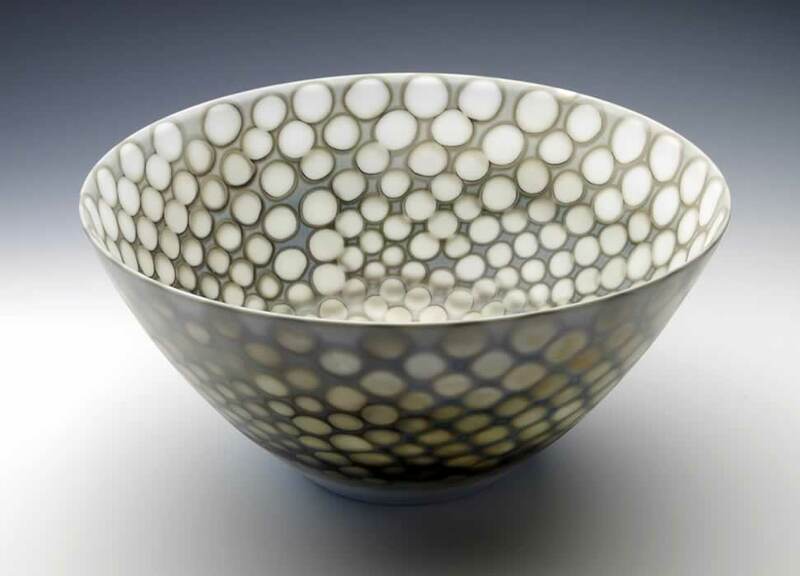 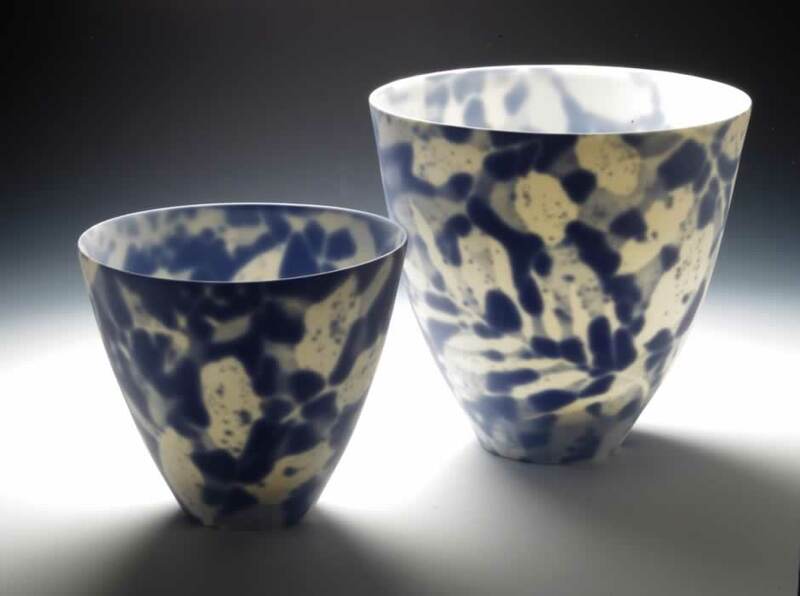 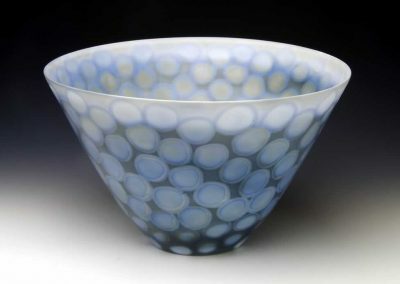 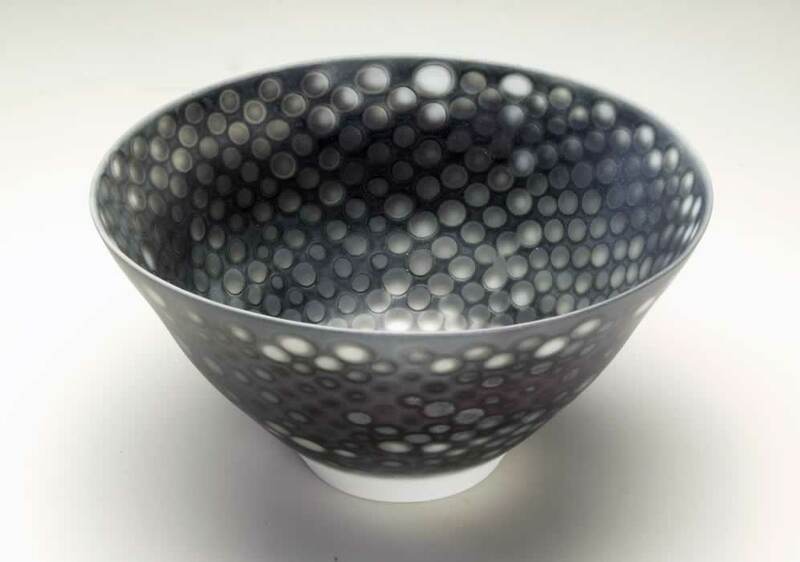 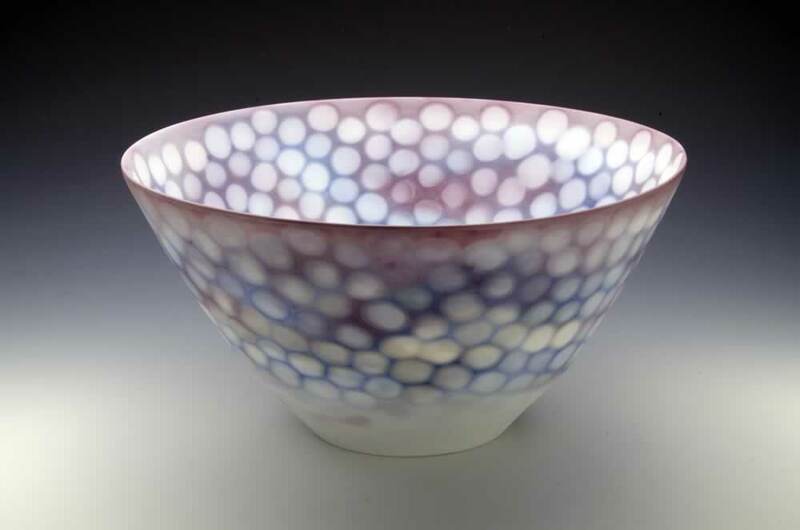 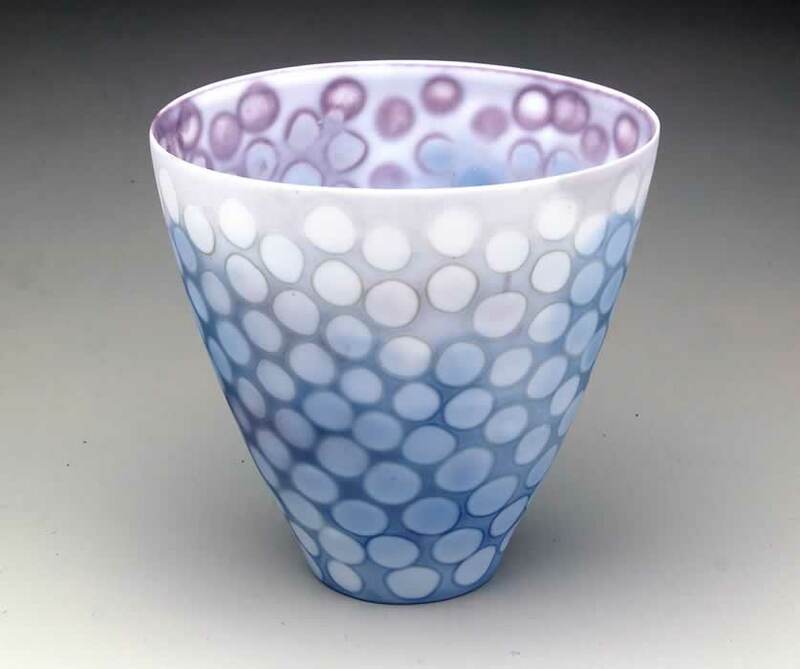 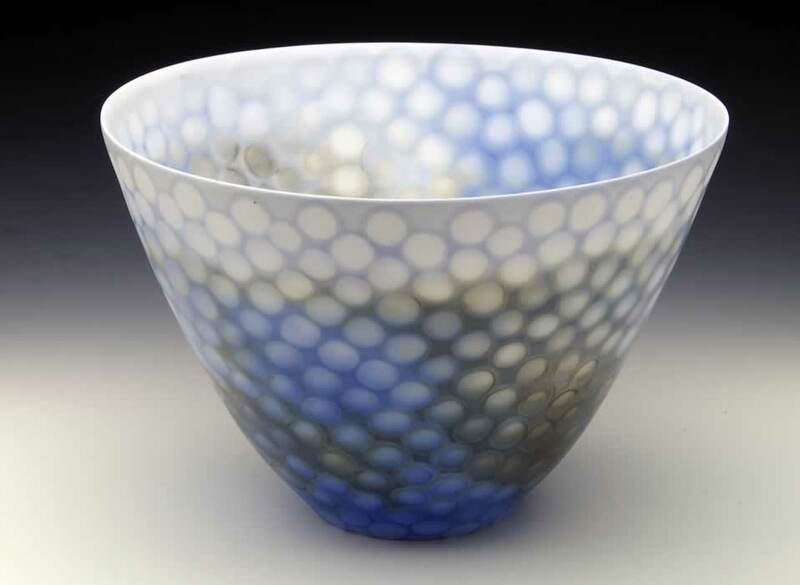 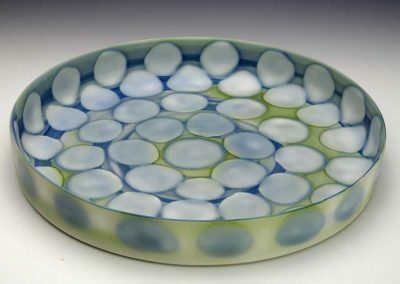 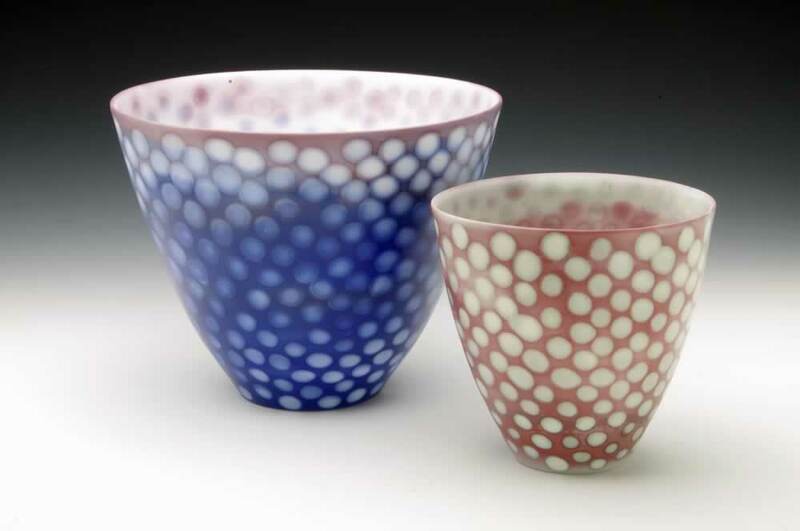 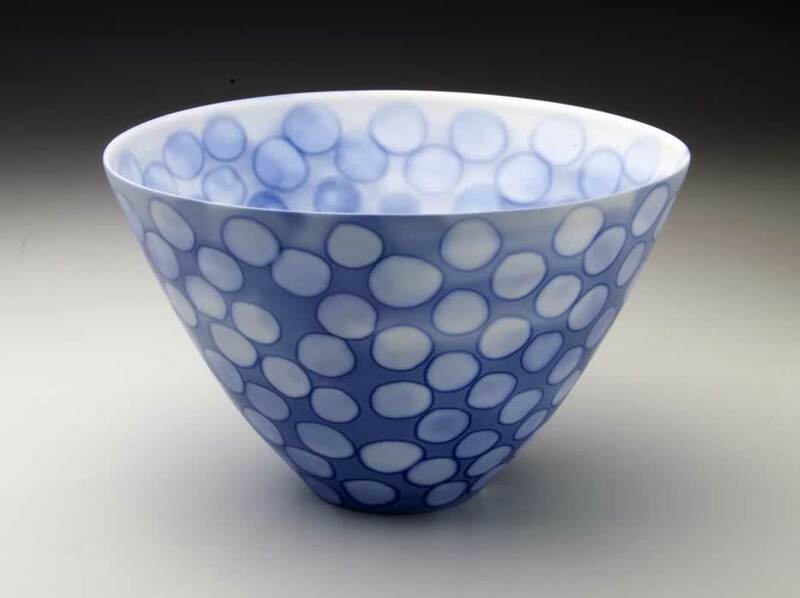 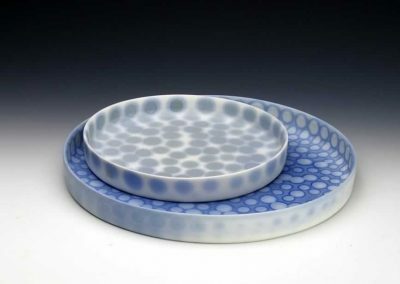 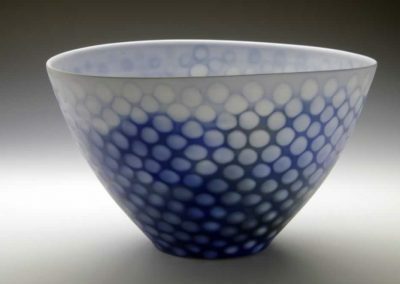 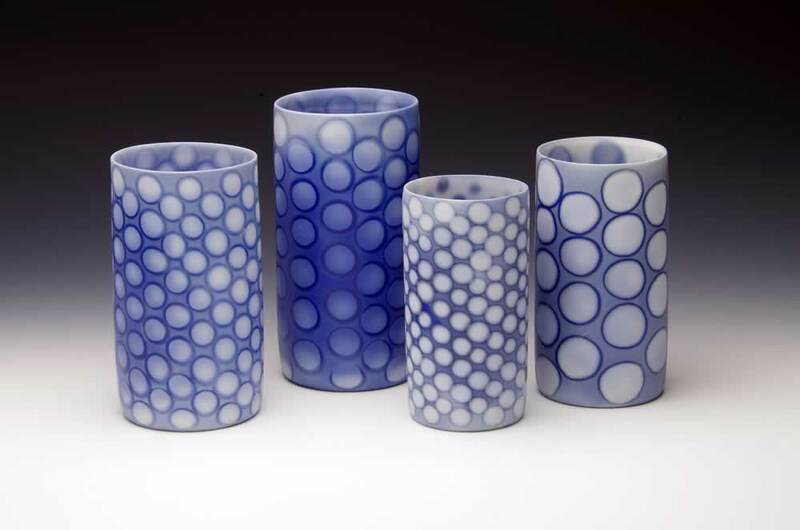 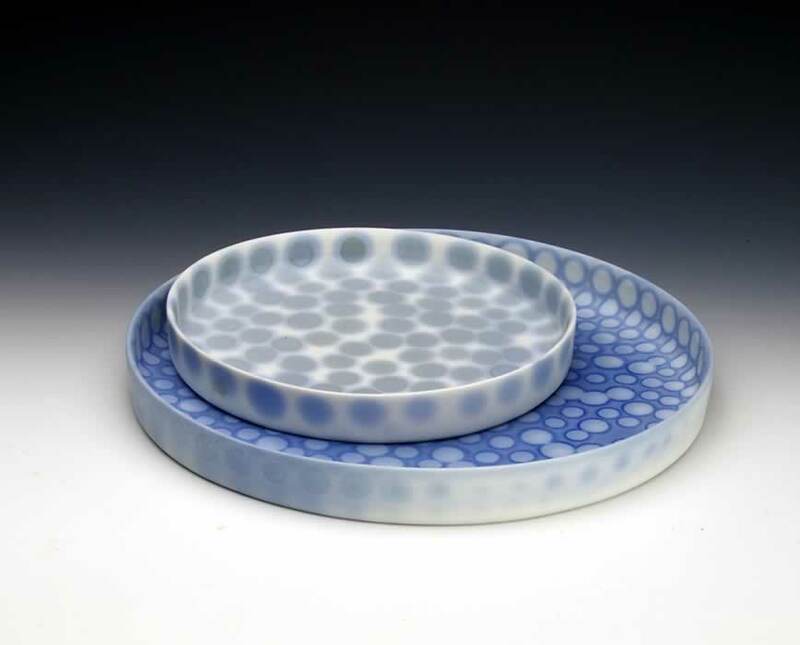 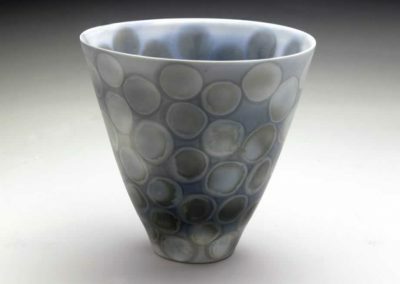 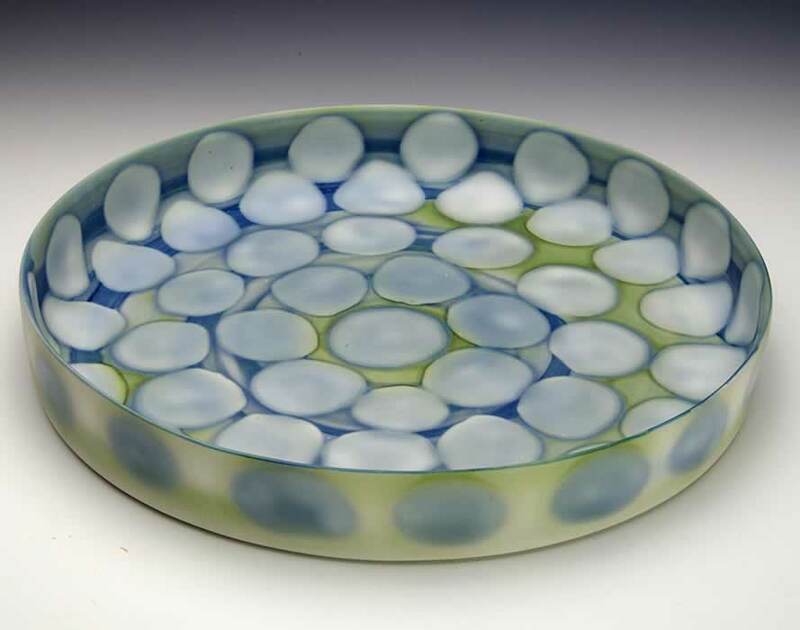 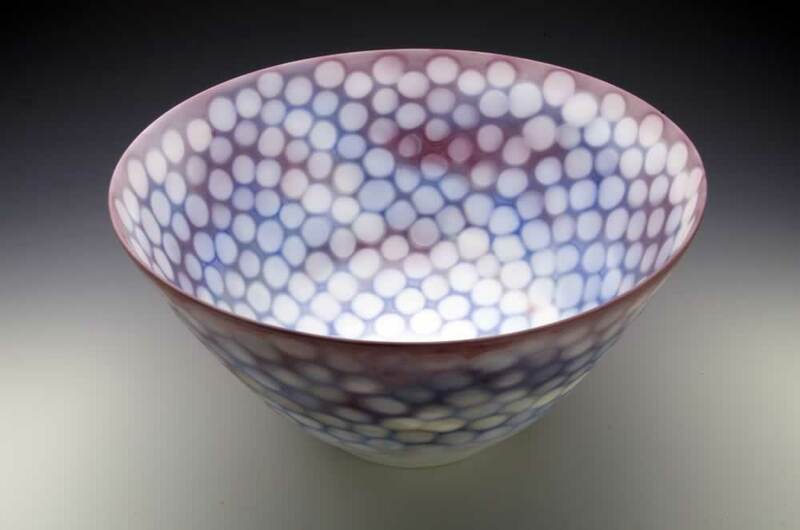 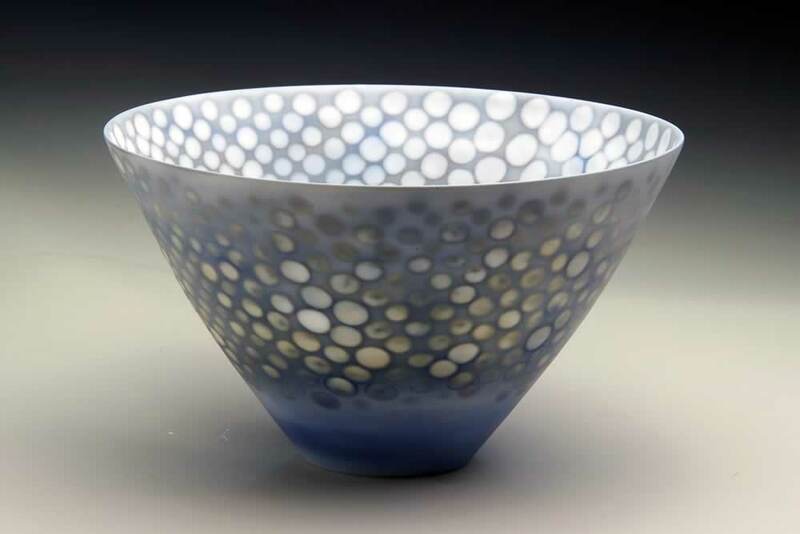 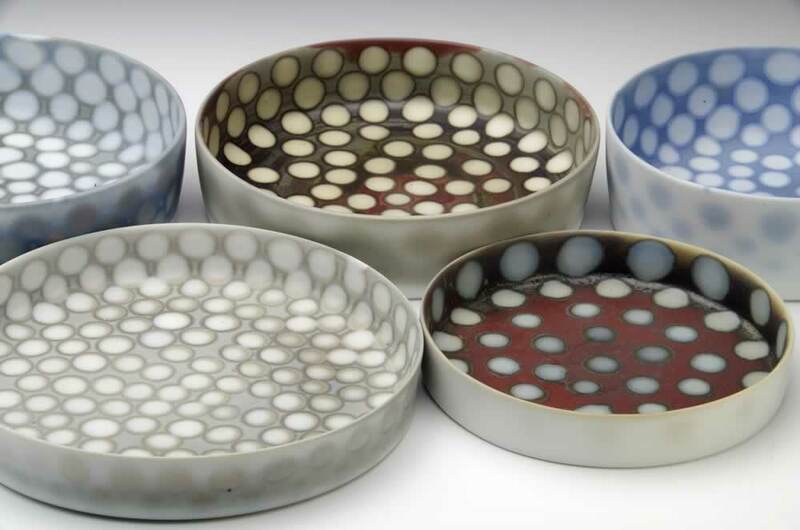 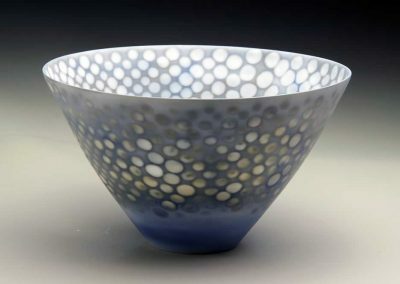 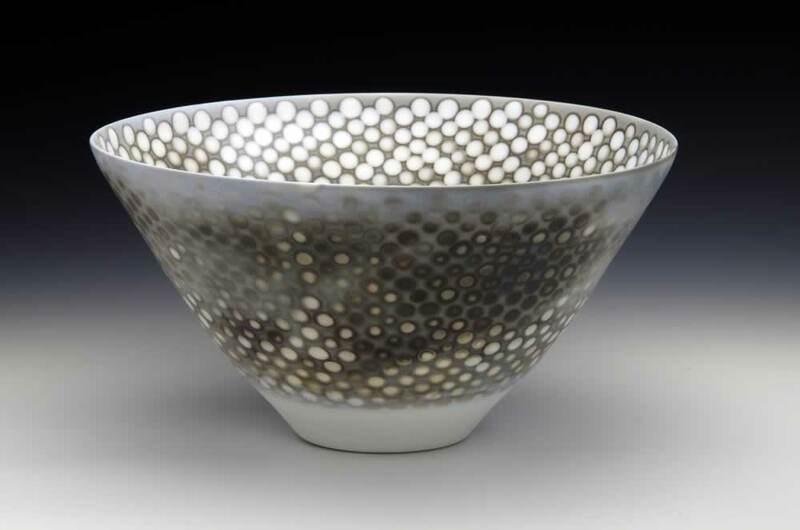 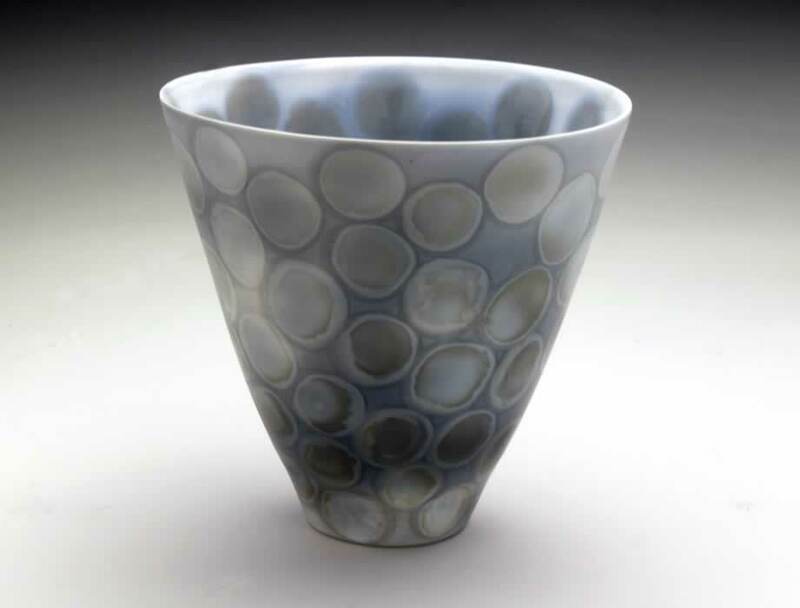 Applied acids and resists create crisp or diffuse patterns which are defined by moisture and saturation and enhanced by translucency and the transmission of light on the polished surfaces.